ICH Blog: New folklore program, new staff, a new dance, and the return of the mummers! 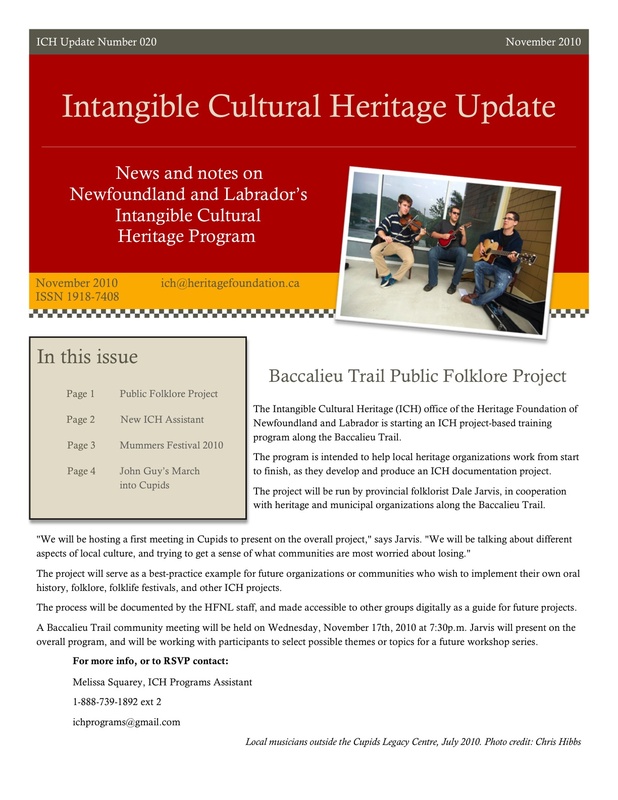 New folklore program, new staff, a new dance, and the return of the mummers! 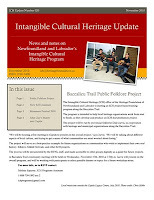 In this month's edition of the Intangible Cultural Heritage update for Newfoundland and Labrador, we report on a new public folklore initiative along Newfoundland's Baccalieu Trail; we introduce you to our newest staff member, ICH Programs Assistant Melissa Squarey; the Mummers Festival returns for 2010 and is looking for volunteers; and the St. John's English Country Dance Society marches into Cupids with John Guy.